A successful home purchase or sale nearly always starts with a good agent or broker. Real estate is a complex and continually changing business, and Hillside agents and brokers are trained and educated in its many rules, regulations and standards. They have the inside scoop on different Hillside, NY neighborhoods and areas and know what constitutes a fair price in the market. Hiring a pro in Hillside, NY also means you won’t have to deal directly with the prospective buyers or sellers, which may save you some tension. NYS Licensed Associate R.E Brokers Specialties: Buyer's Agent, Listing Agent, Relocation, Short-Sale We make it happen, YOU make it HOME! My wife Stella and I are both New York State Licensed Associate Real Estate Brokers and work as a team. Moved from NYC and Long Island to the Hudson Valley 13 years ago. We love the Hudson Valley, where all is within easy reach, quaint villages, hiking, biking, good food, great music, concerts, fine art movie theaters, boating, swimming, winding country roads, great medical care and ski in winter! ALL that with only 90 minutes by train from mid-town Manhattan. Between the both of us we have six adult children and six beautiful grandchildren scattered around the globe and live in great places such as New York City, Los Angeles, Denmark and Sweden. For your convenience we speak: English, Hebrew, Swedish, Norwegian, Danish and some German. It is easy to assist you in selling or buying a home in an area we live in and love, and will stay with you as long as it takes. Our greatest reward is to see the excitement of our clients at closings, the excitement of starting a new chapter in life where hopes and dreams engage in a new reality. We are available from 8AM to 9PM Every Day! Specializing in the Hudson Valley, I am a regional agent in Westchester, Putnam, Dutchess, Orange and Ulster Counties. From single family to commercial real estate, I can help you with all of your needs. 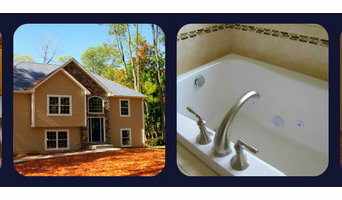 Exclusively Agency for Windham Mountain Retreats CustomHomes in Windham, NY. 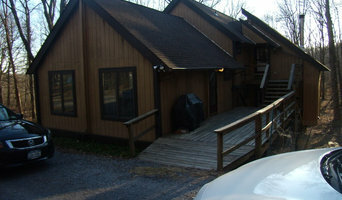 Working with Eric Vaughn we create a mountaintop home both functional and trendy. Either exposed on the ski slope or tucked into the woods our homes have mountainside appeal. Each home is unique to itself , reflecting the needs of the trending skier family or a retirement oasis in the Catskill mountains. I also market existing homes, condos and land. Broker / Owner of Hunter Windham Real Estate. 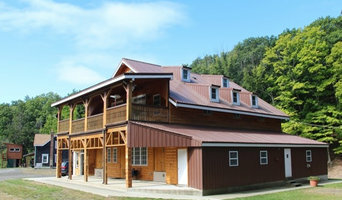 Come see open floor plans with big sky views in the Catskill Mountains! Buying and selling a home conjures up a range of emotions; excitement and stress quite often topping the list. That is why working with an agent like myself is so important. With over 20 years work experience as a Project Manager with IBM and American Express, interfacing with Fortune 500 corporations such as Xerox, Philip Morris, and Pitney Bowes, I know the importance of working closely with customers to meet and exceed their expectations. Aside from my strong knowledge of the market, I bring to the table a keen ability to listen and understanding my clients; not to mention establishing mutual trust. I know each client is different with unique wants and needs and therefore I work closely with each to make sure they are provided with the knowledge and guidance needed to make educated decisions. My end goal is a happy and satisfied client; whether that is finding the right house for a buyer or getting the right price for a seller. My wife and I have been residences of Ridgefield for over twenty years. We currently have two children in the public school system; both of which are active in various activities in town. Understanding the importance of community involvement, we both involved in civic and church organizations.